The fallout between automobile company, Innoson Motors and one of Nigeria’s top commercial banks, GTBank keeps raging on. 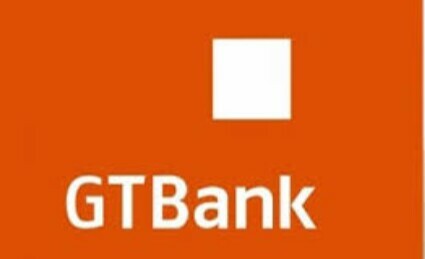 Innoson Motors had in a tweet (now deleted) last week announced that the Supreme Court ordered the management of GTBank to pay a sum of N14 billion within 14 days to its chairman, Innocent Chukwuma. 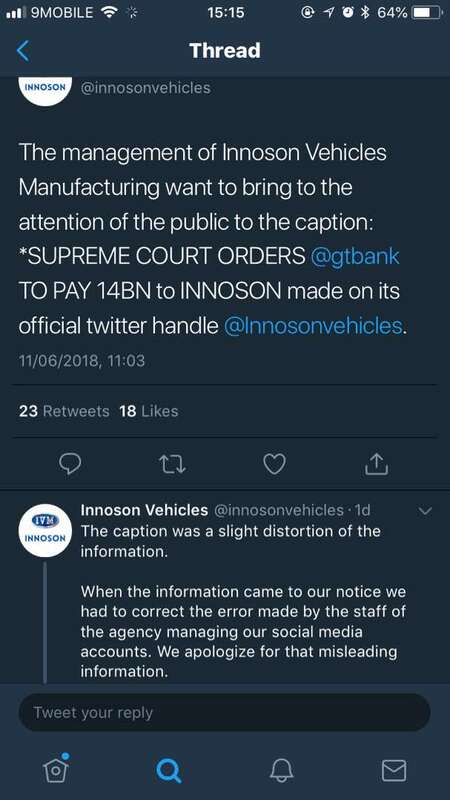 This was later followed by a statement on social media in which Innoson walked back from its declaration stating instead that “the management of Innoson Vehicles Manufacturing want to bring to the attention of the public to the caption: *SUPREME COURT ORDERS GTBank TO PAY 14BN to INNOSON. “The caption was a slight distortion of the information. When the information came to our notice we had to correct the error made by the staff of the agency managing our social media accounts. We apologise for that misleading information. According to social commentators, this retraction comes from judicial advice who fear that contempt of court charges on defaming the Supreme Court may be brought against the embattled business man.